Dr. Alm grew up on a mixed dairy/beef/grain farm at Wetaskiwin, Alberta. She graduated from WCVM in Saskatchewan in 1980. She practised in mixed practises, worked as a large animal ambulatory practise veterinarian for several years and later instructed large animal courses for AHT’s, Ag Production and Farrier students at Olds College in Olds, Alberta. 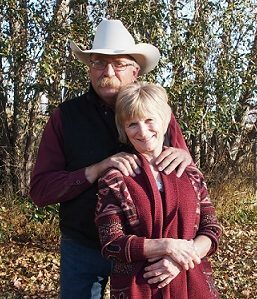 Recently she retired from teaching, and is now ranching with her husband a commercial herd of cattle and some hay burner horses. They have three adult children and are just starting on the adventure with grandchildren. Dr. Alm has benn on two short term mission trips to Mongolia as of June 2017. She is excited to be part of the dynamic, Christ centered, and servant based Christian Veterinary Mission organization.